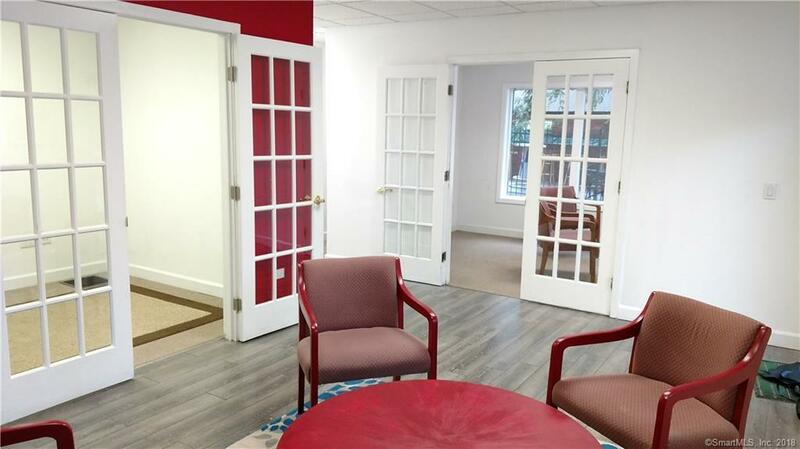 Downtown Danbury, 1st floor, corner office. Bright and modern with a view onto the Green and Band Shell. Shared waiting room, recently renovated. 24 hour access. New floors and doors. Easy commute to anywhere, walk to train, bus, parking garage, restaurants, ice arena and everything else Downtown Danbury has to offer. Directions: Main St To White St To Ives St. Building On The Green.